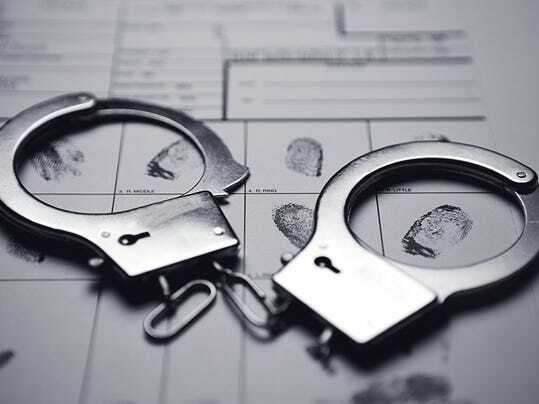 Police recently arrested a woman accused of assaulting law enforcement and emergency medical technicians at a hotel in Hanover, New Jersey. The Hanover Police Department got a call about a woman who was naked and running around the parking lot of the Econolodge Hotel, which is located on Route 10 in Hanover, NJ. When a Hanover patrolman got to the scene, he reportedly saw the woman hanging out of a first floor window. The police officer instructed the suspect, a 45-year-old woman who lives in Maplewood NJ, to cover herself. The woman then used a bedsheet to cover up. When the police officer spoke with the suspect, he determined that she was highly intoxicated. An ambulance was then called to the hotel. Emergency medical technicians tried to place the suspect onto a stretcher and wheel her into the ambulance. However, the suspect reportedly became combative and attempted to remove herself from the ambulance. During the subsequent physical altercation, the suspect allegedly hit a police officer, as well as several first aid members. The suspect also reportedly tried to bite and kick one of the police officers. Police eventually managed to subdue the suspect and get her back into the ambulance. She was then taken to the Morristown Medical Center. The suspect was charged with several crimes, including aggravated assault, resisting arrest, disorderly conduct, and lewdness. After the suspect got medical treatment at the hospital, she was released on her own recognizance. She will have to return to Hanover at a later date to answer the charges against her.